One of the better-kept secrets in investing is a form called the 13F-HR that all institutional investors who manage over $100 million in assets must submit to the SEC. In the Form 13F, managers have to disclose their holdings giving intelligent observers a sneak peek into their strategy and investments. Analyzing thousands of stocks listed on U.S. exchanges is likely impossible for smaller investors. That's why it is wise to leverage the resources from distinguished money manager in order to help narrow down a watch-list. are trading below their intrinsic value. For number (1), finbox.io compares the two most recent 13F filings for a given asset manager to find stock holdings that have increased from the previous quarter. For number (2), I determined which stocks are trading below their intrinsic value by using the finbox.io Fair Value estimate. This estimate is derived by applying valuation and risk models like discounted cash flow analysis, dividend discount model, earnings power value and more. I also wanted to blend in some indication of which stocks might be ready to make a move up soon because they're popular with Wall Street analysts. Therefore I calculated an average using the finbox.io fair value upside and analyst upside to create a blended upside which I then used to rank the most undervalued holdings. Here are the 6 most undervalued stocks that top money managers are buying. Micron Technology, Inc. provides semiconductor systems worldwide. Forbes listed David Tepper as one of the 25 highest-earning hedge fund managers in 2017. He is the founder and president of Appaloosa Management, a global hedge fund based in Short Hills, New Jersey. His hedge fund added $185.4 million worth of MU stock bringing his total position to 12,900 shares worth $385.2 million (5.7% of Appaloosa's portfolio). David Einhorn has generated an annualized return of 16.5% from 1996 to 2016. His firm, Greenlight Capital, now manages over $9 billion. Comparing his two recent 13F filings with the SEC shows that he most recently added another $31.4 million to his MU position. Micron Technology's shares last traded at $41.33 as of Thursday, October 19, approximately 98.2% of its 52 week high. The stock is up 81% year-to-date while finbox.io's six separate valuation analyses imply that there's still another 31.8% upside. EQT Corporation, together with its subsidiaries, operates as an integrated energy company in the United States. The company operates through three segments: EQT Production, EQT Gathering, and EQT Transmission. The EQT Production segment engages in the exploration for, development, and production of natural gas and crude oil primarily in the Appalachian Basin. The EQT Gathering segment is involved in natural gas gathering activities. The EQT Transmission segment engages in natural gas transmission and storage. George Soros solidified his status in the investing Hall of Fame in 1992 with the trade that gave him the title “the man who broke the Bank of England.” He earned over $1 billion personally with the trade. With an estimated net worth of over $25 billion, Soros is considered by some to be one of the most successful investors in the world. Through Soros Fund Management, Soros added $66.8 million of EQT Corp making up 1.5% of the fund's portfolio. However, Barry Rosenstein of Jana Partners took an even larger position in the integrated energy company. He added $585.9 million to his holdings which now makes up a significant 8.5% of Jana's portfolio. EQT Corp's shares last traded at $62.89 as of Thursday, October 19, down -26% over the last three years. Finbox.io's intrinsic value estimate implies 10% upside while the average estimate from 18 Wall Street analysts implies 22% upside. Management is expected to report quarterly earnings on Thursday, October 26th. This $450 billion dollar company run by Jeff Bezos has taken virtually every retail market by storm. Amazon generally engages in the retail sale of consumer products and subscriptions worldwide. Steven Cohen has an estimated worth of $13 billion and is the investor behind Point72 Asset Management. Cohen's most recent SEC filing showed that his fund bought $177.3 million worth of Amazon stock. Ken Griffin is the investor behind Chicago based Citadel Advisors. He's now the 36th richest American with a net worth that increased by over $1 billion since last year. What will likely help Griffin continue moving up the ranks is his most recent $913.3 million addition to Citadel's Amazon position. The hedge fund now owns 3.6 million shares worth a total of $3.5 billion (3.2% of Citadel's portfolio). Amazon's stock traded at $986.37 as of last Thursday, up a whopping 215% since October 2014. Even after this huge appreciation, the blended upside from finbox.io and 40 Wall Street analysts implies the stock is still 16% undervalued. Hewlett Packard provides technology solutions to business and public sector enterprises. It operates through Enterprise Group, Software, Enterprise Services, and Financial Services segments and is headquartered in Palo Alto, California. Jeffrey C. Smith is an activist hedge fund manager at Starboard Value and has been titled the "investor CEOs fear most" by fortune. Starboard Value doubled down on its Hewlett Packard position bringing its total stake up to $174.2 million. David Einhorn also entered into a new $73.8 million position. Hewlett Packard has recently disappointed investors as the stock has lost 40% of its value year-to-date. Although finbox.io's five cash flow models offer a wide fair value range ($11.64 - $21.22), the average estimate of $16.85 implies 21.4% upside. Synchrony Financial operates as a consumer financial services company in the United States. The company offers private label credit cards and promotional financing for consumer purchases. Synchrony Financial was incorporated in 2003 and is headquartered in Stamford, Connecticut. Warren Buffett is a man who needs no introduction and has a total net worth of over $80 billion (4th wealthiest person in the world). Through Berkshire Hathaway, Buffett makes long-term investments as illustrated by the portfolio's low 2.1% QoQ turnover rate. As a result, it is notable when Buffett enters into a new position like he has with Synchrony. Berkshire Hathaway's most recent 13F revealed a new $520.7 million stake in the financial services company. Seth Klarman, via The Baupost Group, added $346.8 million to his position bringing his total stake to $873.6 million (10.0% of Baupost Group's portfolio). 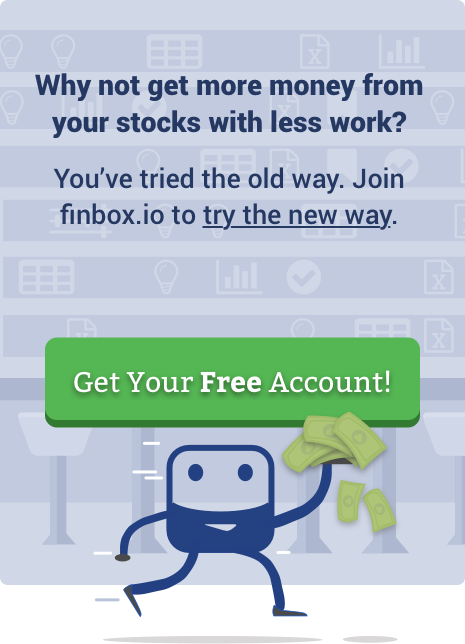 The blended upside from finbox.io and 20 Wall Street analysts implies the stock is 10% undervalued. Alphabet, previously Google, is another behemoth that needs no introduction. The Google business includes internet products, such as Search, Ads, Commerce, Maps, YouTube, Google Cloud, Android, Chrome, and Google Play, as well as technical infrastructure and newer efforts, including Virtual Reality. Its Other Bets business includes segments, such as Access, Calico, CapitalG, GV, Nest, Verily, Waymo, X, and Google Fiber. The company was founded in 1998 and is headquartered in Mountain View, California. Alphabet is the one company on this list where four top money managers all showed increased stakes in their 13Fs. Louis Bacon is the investor behind Moore Capital Management and has a net worth of nearly $2 billion. Bacon most recently added $57.8 million to his Alphabet stake. Similarly, Steven Cohen added $274.5 million, Daniel Loeb added $111.6 million and Ken Griffin increased his holdings by $673.7 million. Alphabet's shares last traded at $1,002.00 as of last Thursday, approximately 98.6% of its 52 week high. The stock is up 25% year-to-date and 86% over the last three years. In conclusion, the table below ranks all six stocks by their blended upside. There’s a reason why investors track holdings of top institutional fund managers to get inspiration for their portfolios, it actually works! 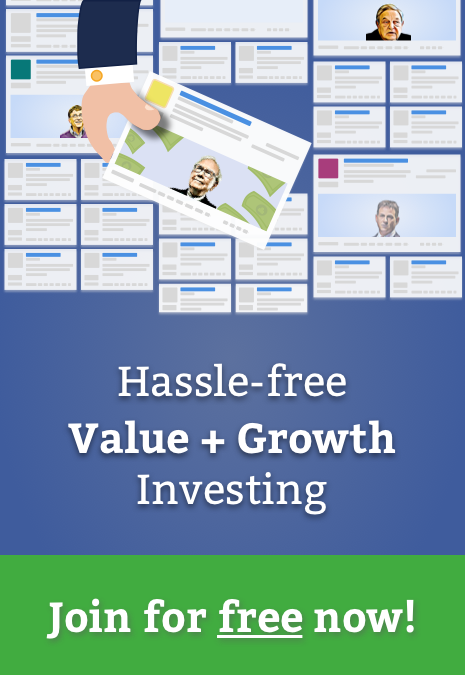 If you’re not currently using 13F forms to find attractive stocks, chances are you’re leaving money on the table. This list will be updated again when new 13F filings are released again in November.